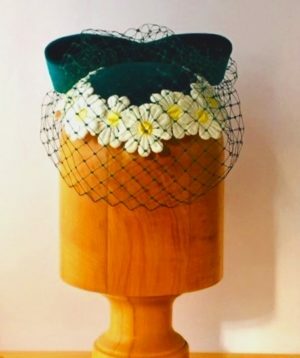 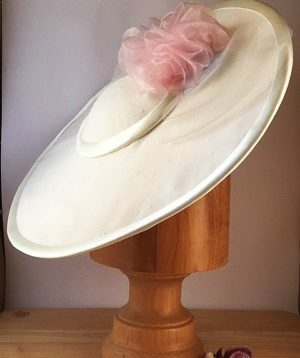 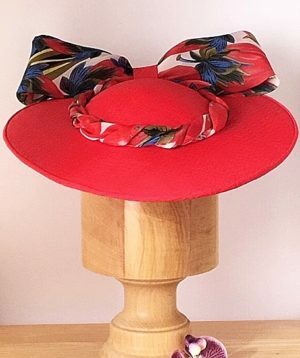 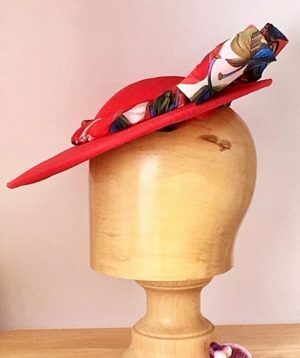 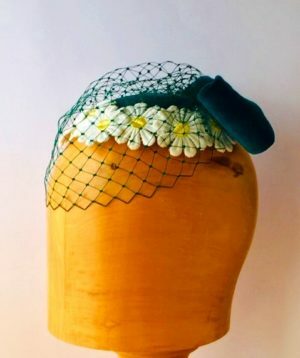 A vibrant and colourful mustard and french blue saucer hat. 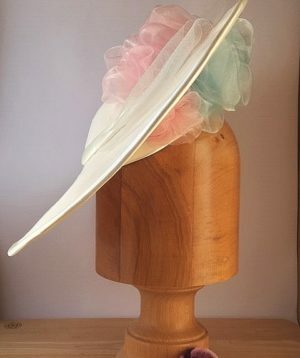 This headpiece has a bronze and mustard/blue hued coloured sinamay under brim with a small black velvet crown. 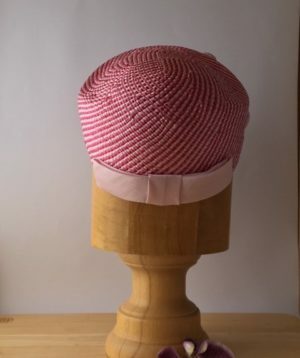 The hat has been stiffened, and wired to form a strong stable brim. 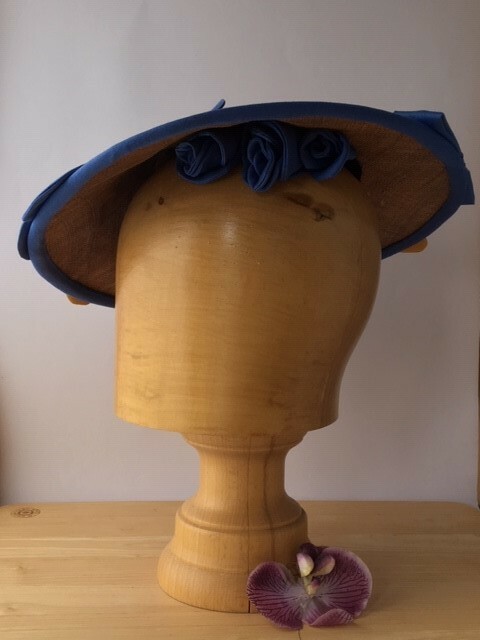 The top of the combined crown/brim has double stiffened buckram covered with mustard coloured fabric and edged with blue hand made binding. 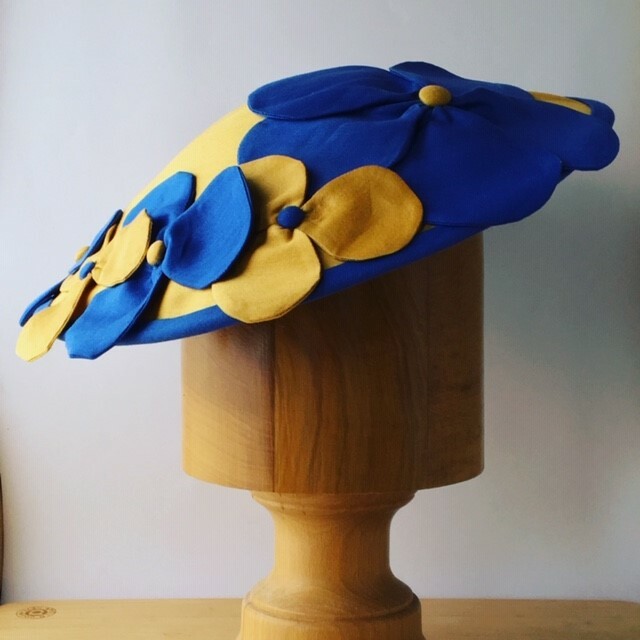 The crown has then been further decorated with an applique of blue and mustard petals with contrasting buttons. 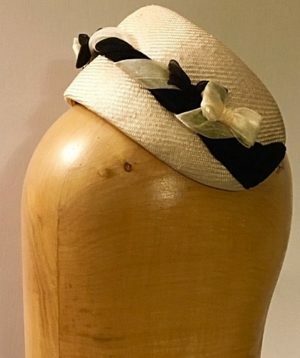 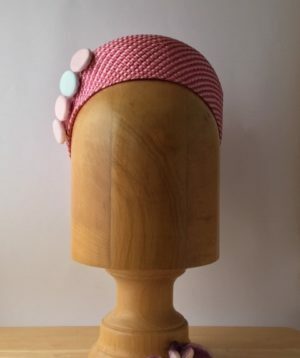 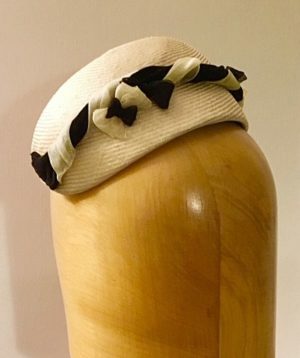 The hat has been finished with a hat elastic.